He stared at me with a blank expression, baffled about why I was questioning his apparently obvious reasoning. No, sir, it’s not like wine. This analogy works in many areas of life: luxury cars, brand name fashion, some technology, cosmetics, etc. It’s not a good idea to give a new driver a brand new luxury car or buy brand name makeup for your preteen. But this analogy does not work for teaching, or any other service provider you entrust with your physical or mental needs: doctors, lawyers, teachers, therapists, engineers, etc. You don’t need to have an “important enough” case to hire a high quality lawyer: you want the best lawyer you can afford to increase your chances of winning the trial. Your home doesn’t need to be “nice enough” to deserve safe and proper wiring by the most reputable electrician you can afford. You don’t need to put up with a medical school student until you are “sick enough” to deserve a qualified and certified doctor! Dance lessons are both physical and mental services. You are entrusting a teacher with your physical and emotional well being and growth. This is an area where you definitely do not want to sacrifice or bypass quality if you can help it. A trained, experienced, passionate teacher is willing and capable of teaching ALL levels of students, from newbies to advanced. Their experience has given them insight into a wide variety of troubleshooting tactics and skill development tools that will help you learn or fix things faster, right from day 1. It’s not that these teachers are “reserved” for the advanced dancers – it’s just that the advanced dancers tend to seek coaching from them more often. Just because I am a master teacher, doesn’t mean I don’t teach beginners, or that I only provide coaching to competitive dancers. 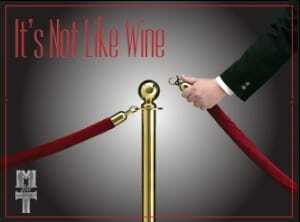 There is no velvet rope that makes good instruction exclusive to VIP dancers only. Bottom line is, the higher quality the teacher, the better their teaching at all levels, and everyone deserves the best teaching they can get access to. So don’t follow our friend’s misguided advice and deny yourself the opportunity for growth because you think you aren’t good enough. It’s not like wine. Quality care is not a luxury to postpone. If you have regular access or the occasional opportunity to work with top teachers, take advantage! As your budget allows, invest in yourself as early as possible. You will have more fun sooner, and your dance partners will thank you! One thing that has always bothered me about chain schools is they usually have a pro available along with many new teachers. The prices for lessons might be 100 dollars a lesson. When you start lessons you are always assigned the new teacher. When asked why you can’t take lessons with the pro they say things like: “you’re not ready”. Seriously! I agree, new dancers can learn something from new teachers, especially patterns, some technique, and the character of the dance. But if that’s what I’m getting then why charge me the same price for access to the pro as the new teacher. Sadly, this is how much of the industry is, especially in the ballroom world. It’s refreshing to hear that you do things, and see things differently. Keep up the great work! Love your articles.